How using paradoxical reframing helps create new ways of gently influencing behavior. A paradoxical prescription is a tool used by psychologists in professional coaching or family therapy. It has found many interactional applications to solve teams or individuals problems, including educational ones. For example, to try to calm your child who is yelling in the supermarket, rather than shouting louder and louder yourself, use the following injunction: “I would very much like you to stop shouting and rolling on the floor, but if you can’t, then keep doing it but then shout much louder so that more people hear you.” Stay away and encourage him if necessary. You will certainly obtain an unexpected effect, the one that the paradoxical injunction seeks: to interrupt the escalation. Invented within the therapeutic framework of “strategic dialogue”, a systemic method designed and developed by Paul Watzlawick (constructivist psychologist, co-founder of the Palo Alto school in California) and his student Giorgio Nardone (psychotherapist, now director of the Strategic Therapy centre in Arezzo, Italy), paradoxical prescription has opened up new ways to treat certain behavioural disorders (bulimia, insomnia, phobias, anxiety…). Paradoxical injunctions are also sometimes found in the coach’s or supervisor’s toolbox to manage recurrent limiting situations for the individual and his or her entourage: public speaking anxiety, tense relationship with a superior, team’s conflicts … By applying a similar approach but in a very different context, I discovered that paradox – as defined by systemic theorists – is an inspiring resource for creating effective nudges (techniques to encourage individuals or a targeted population to change their behavior without constraints). The principle of paradoxical prescription is apparently simple: it aims at breaking the vicious circle of the problem with a counter-intuitive injunction that will surprise the protagonists. For example: to calm a student who is bullying the teacher in front of the whole class, the teacher can say to him: “Here, here’s my hand, you can bite it if you want, you will feel better afterward… and then maybe we can talk”. Paradoxically, this attitude allows the teacher to immediately give ascendancy to a student who was seeking to obtain it through verbal aggression. In this way, he humorously interrupts bullying attempts, often motivated by the student’s trying to keep his leadership in front of the classroom. This tactic consists in reframing the representation of the situation at the extreme opposite from spontaneous observation. 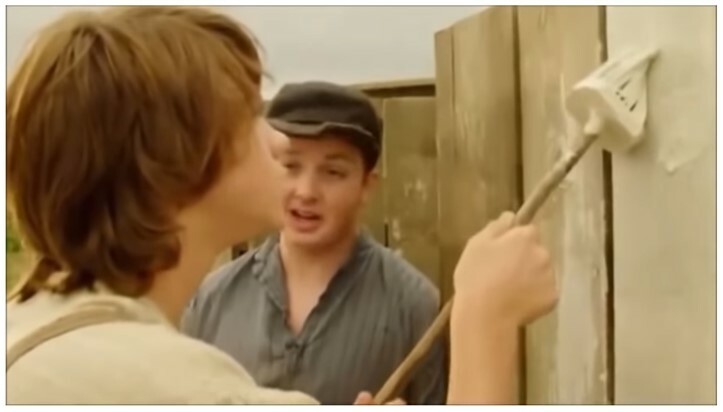 The most famous example is Tom Sawyer (video extract), an orphan born out of the imagination of writer Mark Twain, who managed to have his punishment (repainting a fence) executed by several of his friends, making it look like a fun game. The latter even paid small gifts to have the privilege of participating in an experience that was then lived as rare and desirable. In another context, after the London riots in 2011, an advertising agency was mandated by the municipality to fight against breakage and looting. 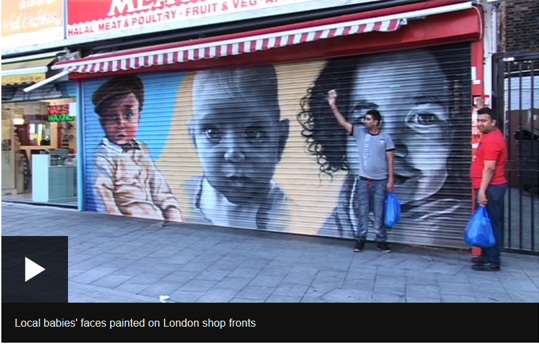 They came-up with the idea of painting baby portraits on metal shop fronts in Woolwich, south-east London. Their inspiration was based on studies showing that being confronted with the roundness of babies’ faces and large eyes provoked an empathic reaction in adults. 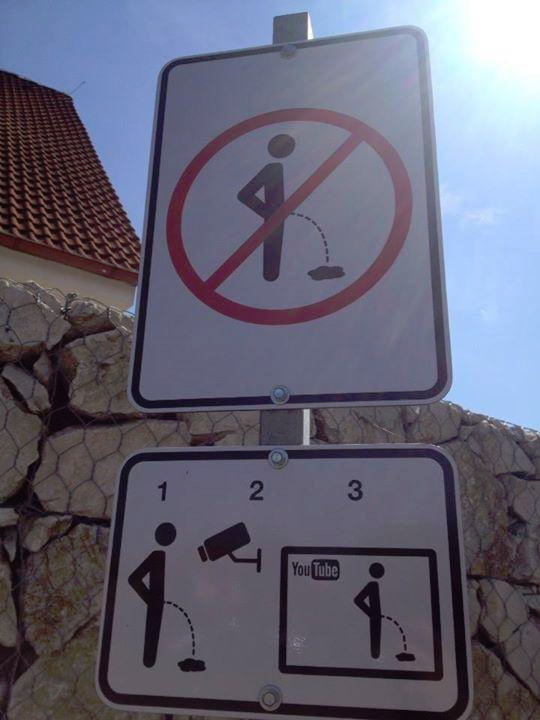 According to local authorities, this has reduced incivilities by 24%. By drawing attention to the weakest through this visual nudge, these baby faces send a paradoxical signal. Advertisers know very well that counter-campaigns activate a form of persuasion, through the cognitive dissonance they generate. 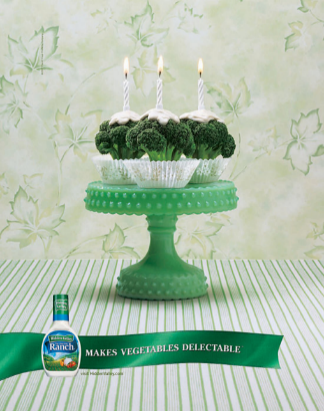 For example, with these broccolis dressed as a birthday cake, this visual suggests that the sauce is so delicious that it makes the vegetables as delicious as a pastry. In our case, it is a matter of discouraging unwanted behavior by proposing to push the symptom of this dysfunction to the extreme: for example, asking the child in crisis to shout louder, or the aggressive student to bite his teacher. Here, the word symptom is not related to a pathology, but highlights a drift in the relationship (parent-child or teacher-student). This tactic consists in going in the direction taken by the deviant individual, but offering him a conditional choice that leads to a desirable alternative. He can either persevere in the current solution, but the authority will prescribe as a condition to increase “the symptom” (shouting louder, try physical aggression, both extreme), or he can adopt another behaviour (calming down, discussing) that looks less risky and is beneficial to all. By making such a reframing, one takes the bet to give the protagonist the opportunity to break the vicious circle himself. Perceiving the absurdity of the overbidding, he can then exercise his freedom to choose the appropriate behaviour, without feeling that he is responding to an order. Take the example of a student who works little and does not attend classes regularly. The teacher may have him/her sign a “tourist student contract” obliging him/her to miss part of the courses, provided that he/she notifies them in advance, as soon as the contract is signed. Of course, at any time, it will be possible to switch back to the “normal” contract, provided that the rules are respected: this is a way of rebuilding an architecture of voluntary choice. Within the BVA nudge-unit, we have worked on how to encourage vigilance and confidentiality behaviors in the professional environment (closing closets, locking computers…). For the occasion, we designed a “gamified” work week entitled “Catch me if you can” during which accomplices stole sensitive objects and information to employees all informed. Friendly thieves left behind a playing card signing their misdeed and allowing victims to pick up their belongings at the reception desk. The inattentive employees had thus experienced an unpleasant (although simulated) feeling of dispossession, linked to the lack of preventive action. Because it’s often by “living” the consequence of your behaviors that you prepare yourself to change them. As Giorgio Nardone says metaphorically, it is sometimes “by adding more wood that you extinguish the fire”, illustrating the paradoxical nature of these nudges. By making the behavior to be corrected the “star” and pinning it down for celebrity, you paradoxically contribute to stopping it, as in the example below. 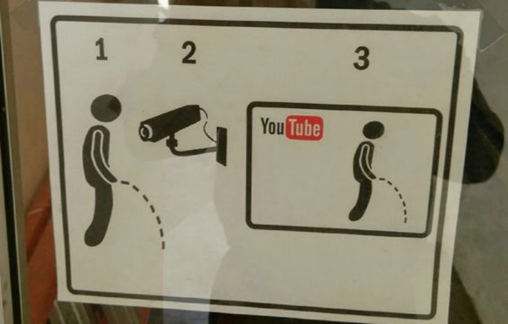 This Czech hotel, embarrassed by the behavior of some passers-by urinating against the wall, found a visual way to suggest that they would be video-recorded, and that their “stories” would then be posted on YouTube for fame. Guaranteed deterrent effect. – Creating a mirror effect: make the other suffer the effects of his own behavior in return. – Magnifying the exception: show the protagonist that he or she is able to act differently in certain circumstances, hence is able to change. – Inventing an “anti-ritual”: suggest that every time he does something habitual, he can also take another action bending behavior toward the desired goal. All these tactics achieve the same objective: to interrupt the recurrence of inappropriate behavior by breaking the loop that maintained the problem. These mechanisms that bias the relationship have so far been little explored by behavioral economics, which focused more on cognitive biases (those that cause our decisions to deviate from rationality). The systemic and paradoxical theories open new doors, especially in the context of social conduct and behavior change.